Last Saturday was a glorious day. The weather was warm, and the sun was shining, so it was an ideal opportunity to explore some water I have not fished before. 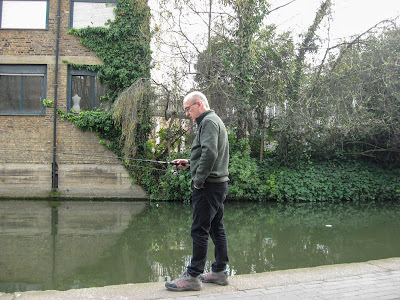 I have a Canal & River Trust, Waterway Wanderers ticket that allows me to fish, among other places, most of the canals in London. 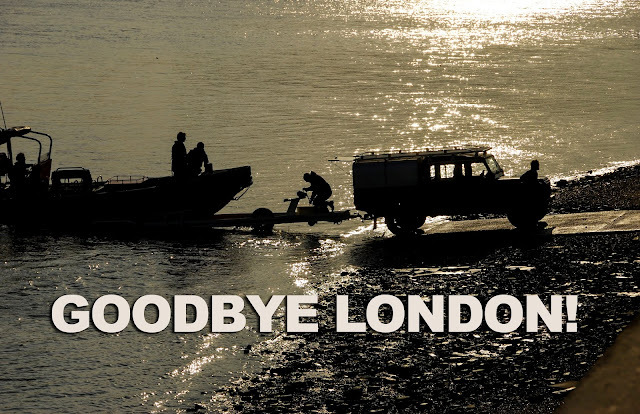 This can be really handy at this time of the year as most of their waters are still open to fish, while the 'rivers' are closed. I have fished The Regent's Canal in the past, but an internet search provided a list of local places I can fish using my permit. This included several stretches of canalised river in East London, specifically the Bow Backwaters and Limehouse Cut. Having never fished any of these places before, Sue and I decided that a stroll around the area, along with a spot of fishing might be a good way to spend a day away from the pressure and stress, filling our life at the moment, caused by our everlasting, and impending, house move. Having not moved for forty years, although I had heard people say it is one of the most stressful things you can do, I did not realise just how much aggravation it can be. Now I know! We have a card here in London that allows travel on, (DLR) Docklands Light Railway, underground, overground, trams, buses and suburban trains for a maximum daily charge. Once that pay-point is reached (it is a few quid), all additional travel is free. This means we can jump on and off of, and change between, modes of transport all day long for no extra money. 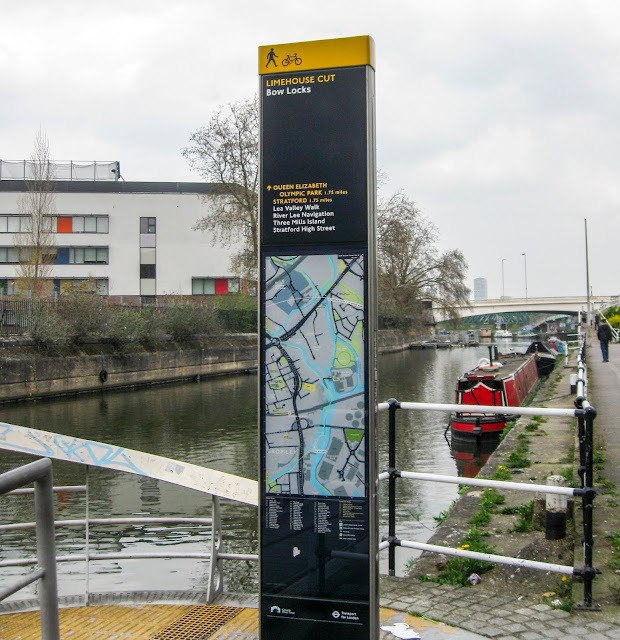 We decided to make for the Limehouse Cut as a starting point. 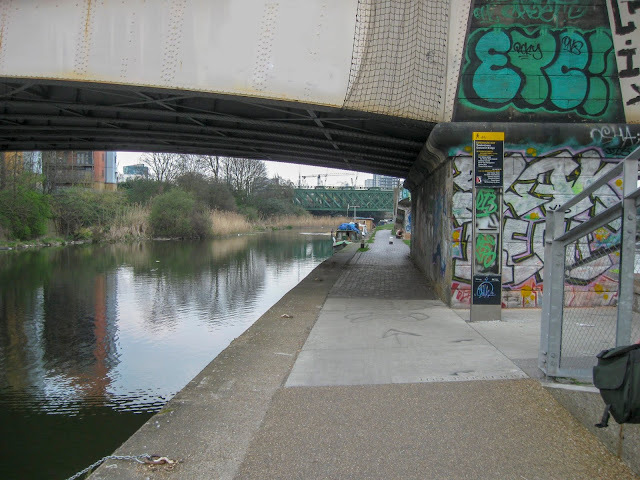 This is a dead straight stretch of water that leads from Limehouse Basin to join Bow creek, a distance of about a mile and a half. To get there was easy, we just needed to jump on a bus to Lewisham and ride the DLR to Devons Road, from where we walked a few hundred yards down the streets to the point where Violet Road crosses the canal. Here there is access to the towpath. We walked north, towards Bow Lock, along the narrow towpath. The water is a few feet down from the towpath at this point, and the path was busy with walkers and lots of cyclists. It was at this point that reality dawned on me; a beautiful spring Saturday, might not be the best day to try this. The other amusing thing was the sign we found when we got to the lock. You would have thought that someone, with a sense of humour, might have spotted the obvious hilarity in announcing the area as Limehouse Cut, 'Bow Locks'! Although travelling light, I had a bag of tackle as I had taken a dropshot rod as well as my small telescopic rod, rigged for float fishing. The bag was not that heavy, but it was starting to feel that way, after a few miles. Next time I will take one or the other. Limehouse Cut joins the River Lee at Bow. 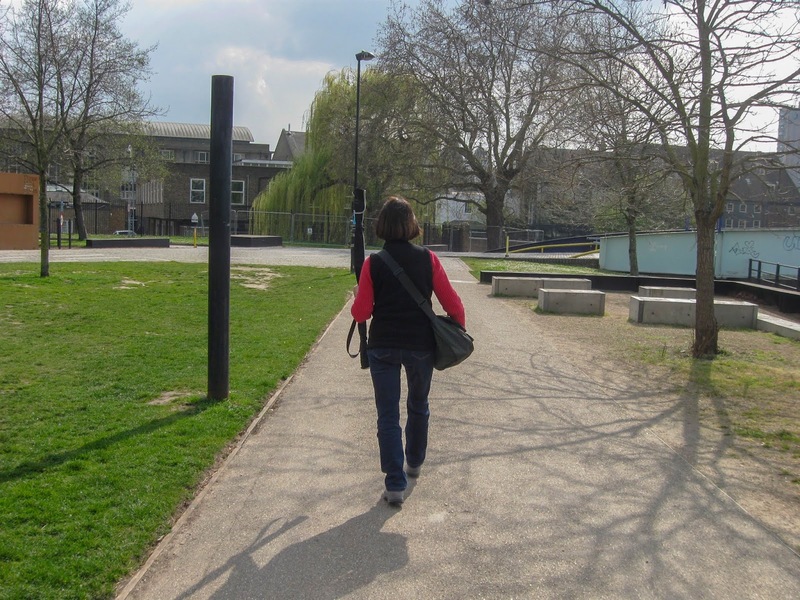 We continued to walk as far as the southern edge of Queen Elizabeth Olympic Park and decided to make our way over to the Regent's without getting a rod out. Next time I think we will try the other end of the cut. I am sure there are fish in there (I have been told as much), but on Saturday there were far too many people about to be able to fish without constantly dodging cyclists and runners. The photographs were taken between the torrents of cyclists and joggers that were out enjoying the excellent weather. That is not a complaint, everybody is entitled to use the canal as they want, but I prefer it when it is a bit quieter. We walked over to Bromley-by-Bow tube station and caught an underground train to Kings Cross. 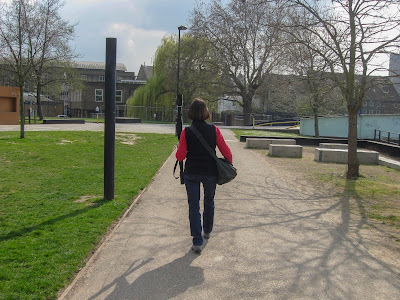 There we made our way to Granary Square, which is a short walk, north of the station. This place has completely changed over the past decade or so. From being a run-down inner London area that you would avoid unless absolutely necessary, it is now trendy and extremely popular. It was stacked out with people, enjoying the ridiculously warm day. We made our way west, towards Camden town and eventually found a short stretch of wall where we could sit and set up some gear. I threw a handful of maggots into the margin to get any perch sniffing around while I set up a dropshot rod and selected a small rubbery shad that was impaled on the hook, by its nose. All this was being watched by the passers-by along with a few others who had joined us sitting on the wall. I started to fish a few inches from the wall, right under the rod tip. Lots of the passers-by were asking if I had caught anything or telling me "you'll be lucky mate!" Fishing close to the edge... and it worked! Within a few minutes, much to my relief, and the onlooker's amazement, I caught a small perch. Nothing to write home about, but a fish is a fish. I returned it, without photographing it as I was sure I was on a roll and that I would be pulling out one after the other and I would have plenty of opportunities to get some pictures of fish... Wrong. That one fish was the total for the day. Although I fished on for an hour or so in different spots, the fish were just not playing ball. If there was one thing to be learned from today, it is not to venture along the narrow towpath of a London canal on a beautiful warm and sunny Saturday. We ended up walking as far as Camden Lock and decided to call it a day as far as the fishing was concerned. I had a great day, and we had a good walk. It was a good job I had Sue with me to carry the gear!